A Quick Guide to Operational Risk is an interesting article written on the Expert360.com website by Oliver Poss, a leading Risk Management Consultant . Oliver is based in Sydney and is the Principal of Risiko, a Risk Management Consultancy. He has spent many years at the coalface of implementing Risk Management in large Infrastructure companies and subsequently in the Public Service. The article presents the challenges of implementing an Operational Risk Framework and includes several anecdotes of working with Managers in businesses and pitfalls that one should avoid. Oliver touches on the Risk Management Standard ISO 31000 but a key takeaway in this article is the importance of good quality Risk Management training for Managers. Oliver initially had Managers answering emails or even taking a siesta in risk training! So, he pulled in professional trainers, developed an Risk Management training course and things got better from there. He also stresses on the need to tailor the Enterprise-wide Risk Management approach to accomodate diverse risk needs. In short, the ability to handle Risk Reporting needs of Project, Finance and Safety teams on one Risk Management Framework, so that they all get value from Risk Management. Happy Reading! 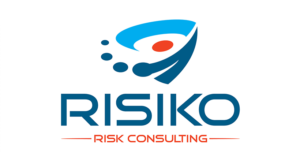 Kwela Solutions and Folio are also proud to have Oliver and Risiko as one of our partners.